I love ginger in just about anything, from teas to stir fry, it’s such a versatile herb yet packed with goodness and healing powers. 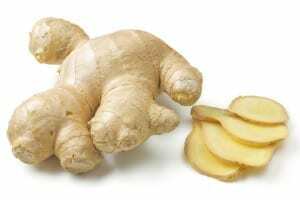 Traditionally used to relieve colds and stomach troubles, high in inflammation-fighting compounds, such as gingerols, which some experts believe may hold promise in fighting some cancers and reducing arthritis pain. A recent study showed people who took ginger capsules daily for 11 days reported 25 percent less muscle pain when they performed exercises designed to strain their muscles (compared with a similar group taking placebo capsules). Another study found that ginger extract injections helped relieve osteoarthritis. Ginger has always been used to calm stomach upset and ginger extracts can help reduce nausea caused by morning sickness or following surgery or chemotherapy, though it’s less effective for motion sickness. For some of the best ginger recipes click here.